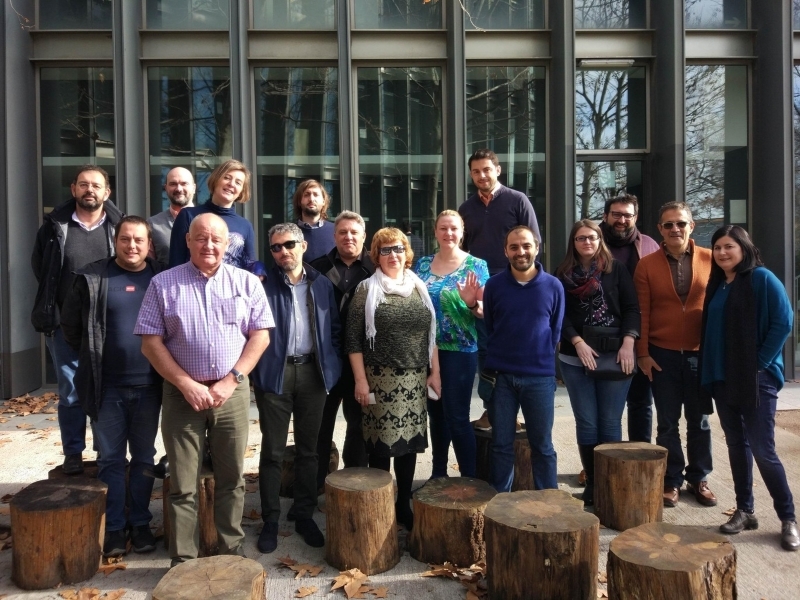 On January 23rd – 25th members of DCDS project’s partner organisations met in Barcelona in order to attend the 3rd Project Meeting, as well as a Trainers’ Training for the DCDS Pilots. The event, hosted by Fundación Esplai, took place in this partner’s headquarters in El Prat de Llobregat. Among all the topics presented and discussed, we can highlight the 1st DCDS Evaluation Report, elaborated and submitted with the progress report at the end of 2018. It covers the first eleven months of the project, concluding that the performance in the first year was generally good. The report also shows that communication with external stakeholders and policy makers. This is one of the most crucial issues in KA3 projects, and although very challenging, it is progressing and being more stable day by day. In this sense, the peer reviews and the Policy Influence Plan delivered within the 1st half of the DCDS project have definitively helped to achieve the project goals, giving advice to partners for specific challenges at national level on how to effectively engage external stakeholders. One of the main objectives of policy activities in the project is to inform, as the first step, local stakeholders and policy makers about the existence of DigComp Framework, making it known, visible, useful and used. 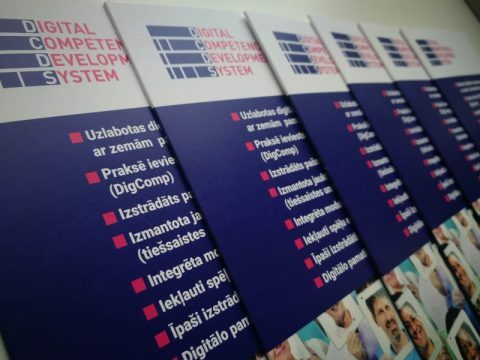 The second step is to provide them with a scalable (from levels 1 and 2 to upper levels) and modular tool to assess basic digital skills, train low digitally skilled people and assess and validate their knowledge, based on DigComp. All of it is done with the transversal goal of levelling out differences in levels of digital competence among European citizens, and consequently in levels of employability, active participation and quality of life. 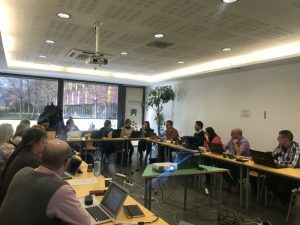 The above-mentioned objectives will be reinforced through the establishment of an Advisory Committee on Digital Competences, a group of external stakeholders composed of one delegate (policy advisors, experts) from each partner organisation. Its aim will be to validate project results and provide the partnership with policy advice. Between March and April 2019, the first transnational virtual meeting with all members of Advisory Committee will be organized, collecting valuable inputs that will help the project positive progress and general goals achievement. In addition, and at dissemination and exploitation level, the first multiplier events will take place between February and June 2019 in each piloting country: Italy, Rumania, Latvia, and Spain. 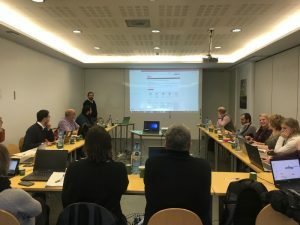 These events’ main objective is to reach out to professionals interested in the project, so they can learn about the DCDS methodology and training proposal, for future use. Furthermore, the Latvian partner LIKTA presented the DCDS Piloting Guidelines to the partners, which state how to prepare the upcoming piloting step by step. 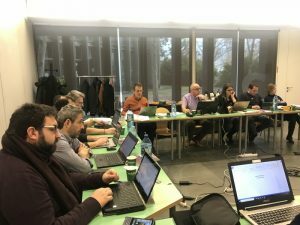 An open call will be used to recruit participants for the pilot, which will take place between March and May 2019. Each participant will have to fill in an entry questionnaire that gives a first useful information to the tutors, who will analyse it for getting ready for the next step - meeting them face-to-face. Then each participant will fill in the self-assessment test, in order to determine their current digital skills level and training needs. These will help the tutors state, which of the different Learning Paths fits best with each learner. 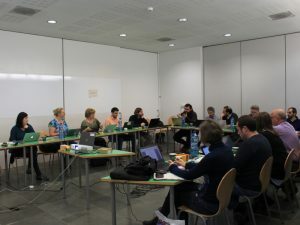 Trainers will then propose a training schedule, with 40 hours of presence training that participants will attend depending on their individual path and needs, covering a minimum of 28 face-to-face hours to get the training certificate. 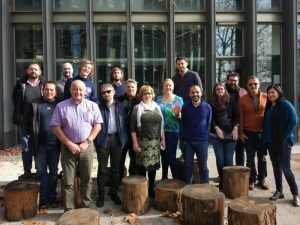 This presence learning will be complemented with 20 hours of distance learning through a Moodle platform designed by the Hellenic Open University, the Greek partner. Once the training is finished, learners will fill in an exit questionnaire, and trainers will hand in an evaluation questionnaire of the Pilot programme. This feedback will be used to improve the DCDS training, taking into account the opinions and experiences of trainers and trainees from the piloting countries. 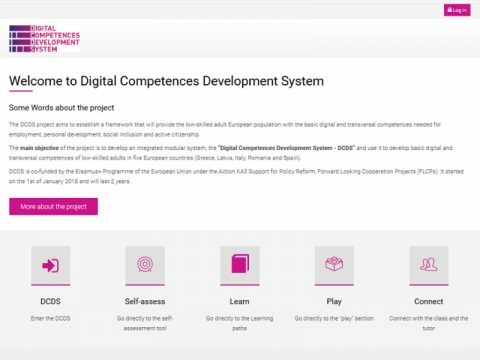 The self-assessment test will be again available to those participants who want to fill it in to compare their digital skills level before and after the training. 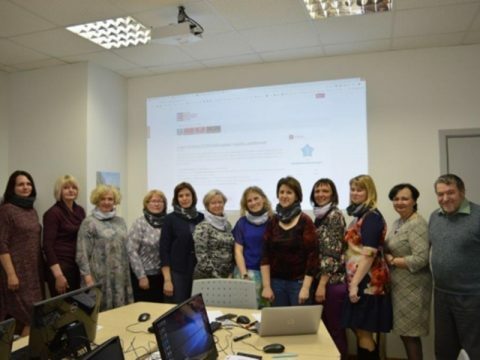 As the training is addressed to low digitally skilled people, the contents and the language used in the platform have been kept as simple as possible, in order to facilitate the understanding of the contents and encourage the learners’ autonomy. The more technical or difficult words will be straight ahead identified and clarified by the online tool.